There was a lot of excitement because we feel that this is a victory, But it’s not over yet. We are still cautioning people. We told them they must still protect their villages, their towns. They should report any suspicion of Ebola to the health teams. We still have a response that is tight. These activities — these prayers services — are taking place in an effort to accord these people the utmost respect considering the circumstances under which they were cremated and they parted with their families. We think it is only but proper that we now accord them — the over 3,000 people cremated — respect in a more dignified way. Despite there being stringent procedures and controls in place to safeguard UK service personnel, there is always a level of risk in deployments on operations of this type. Until a safe and effective vaccine is available, the world will continue to be under-prepared for the next Ebola outbreak. A 28 page report by a panel led by Dame Stocking says the World Health Organisation unable to handle public health emergencies judging from its performance in the Ebola epidemic. The report suggests fault in WHO’s financial preparedness, reliance on diplomacy, and lack of decisive actions by director general Chan. Furthermore, the report recommends regional and country representatives to play a more active role in pushing their governments to take immediate action to epidemics; this is in response to WHO’s delayed declaration of an Ebola crisis only after the death of 1,000 people. WHO does not currently possess the capacity or organisational culture to deliver a full emergency public health response. The question is how will this translate into real action on the ground in future outbreaks? Mugabe arrives in New York ahead of the United Nations International Ebola Recovery Conference, accompanied by First Lady Grace Mugabe, Health Minister, Foreign Affairs Minister and Finance Minister. They are expected to be confined within a 25-mile radius due to travel sanctions. The Zimbabwe Hospital Doctors’ Association is warning that the health delivery system in the country is deteriorating owing to government lax in controlling medical aid societies and alleged corruption, citing the auditor general’s report which alleged that local resources are being abused and are short changing patients. International donors pledge $3.4 billion for a total of $5.2 billion to help rebuild Liberia, Guinea and Sierra Leone following the Ebola epidemic. The U.N. will follow up to ensure the delivery of the money. New pledges include $745 million from the African Development Bank, $495 million from the European Union, $360 million from the Islamic Development Bank, $340 million from Britain, and $266 million from the United States. Liberian President Sirleaf says funds will revive the economies and societies of affected areas. The world as a whole has a great stake in how we together respond to this global thread. Virus diseases, just like terrorism, know no national boundaries. Ebola returns to Liberia with five recent cases of the disease. Sequencing data show the virus is genetically similar to the past Ebola outbreak. WHO conducts further tests to see if people unknowingly had the virus and explores other possibilities such as sexual transmission. There are a considerable number of survivors. And we also know that it persists in certain bodily fluids, and that it can subsist for at least six months. 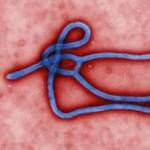 The initial several decades of attempts to develop a vaccine against the Ebola virus were unsuccessful. This is one of the few vaccines that works. After falling ill in Glasgow, Cafferkey is flown to London by military aircraft and admitted to the specialist treatment isolation unit at Royal Free Hospital in London. We can confirm that Pauline Cafferkey was transferred from the Queen Elizabeth University Hospital in Glasgow to the Royal Free London hospital in the early hours of this morning due to an unusual late complication of her previous infection by the Ebola virus. She will now be treated in isolation in the hospital’s high-level isolation unit under nationally agreed guidelines. The Ebola virus can only be transmitted by direct contact with the blood or bodily fluids of an infected person while they are symptomatic, so the risk to the general public remains low. Doctors say Cafferkey is now in critical condition, and that she is suffering an “unusual late complication” of her previous infection. Health authorities have emphasised that the risk to the general public remains low. However, 58 people who had been in close contact with her are being monitored by Health Protection Scotland, 25 of them have been vaccinated. So much was needed and so much was accomplished by national authorities, heroic health workers, civil society, local and international organizations and generous partners. Under routine monitoring by the Infectious Diseases Unit, Pauline Cafferkey has been admitted to hospital for further investigations.